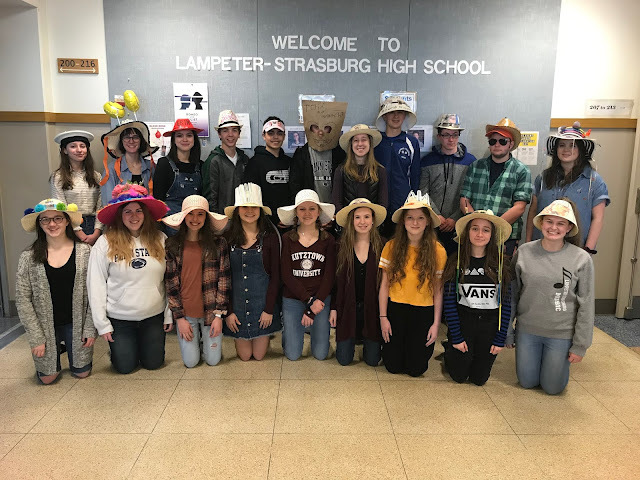 The Lampeter-Strasburg Softball team had many accomplishments this season in section three. The varsity team ended with the section title, beating their rivals, Donegal, two days in a row. The Lady Pioneers only posted three losses all season. They lost their first two games, first against Dallastown and second against Donegal, and later in the season against Penn Manor. Some L-S JV girls attend the game rooting on their varsity team. Going into what turned out to be the last game of the season, they were behind Donegal by one game. 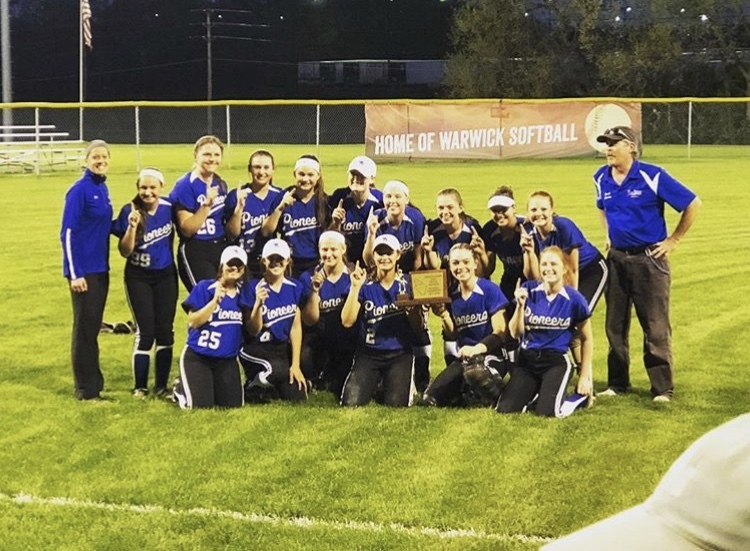 A win meant a tie-breaker for the section title, a loss meant second place and a final game against Warwick. The softball team played fantastically that Tuesday afternoon. They ended up defeating the team 9-3. The game featured a tremendous over-the-fence home run. The home run was a good thirty feet over the fence before it finally hit the ground. With the win, the team had forced another game the next day. The final game started off with a 3-0 L-S lead after the first inning. That got extended to 5-0. Donegal was beginning to come back, but could only get within 3 runs. From that point on it was all Pioneers. The team’s hitting took off. In the sixth inning, they were up 12-3. One more run would seal the deal. The game ended with a walk-off two run home run to win the game 14-3. The Pioneers were section champs. 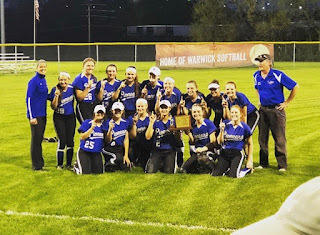 Their head coach said at the softball banquet Thursday night, “If someone were to tell me that we would beat them 9-3, I wouldn’t have believed them. And to beat them like we did last night, that was sweet.” While the banquet featured many varsity highlights, the JV team was congratulated as well. The JV team finished the season undefeated for the third year in a row. There were many teams that did not have JV teams this year, but the team did what they could. They only played a couple full games this season. One of them was their closest game against Penn Manor, which they won 9-7. Dallastown did not have a JV team this season, so their opening game was against Donegal. Many people were worried that it would be a blow out. It was. The predicted teams just switched roles. The JV team came out of that game with a 15-0 win. They had mercy-ruled them in three innings. The L-S JV softball team celebrates their undefeated season. Both teams had incredible seasons. Hopefully, the varsity team will continue to shine as they enter playoffs.